1. Place the sugar, ginger and 200ml boiling water into a large shallow dish and mix until the sugar dissolves. 2. Slice the pineapple into 16 rounds about 0.5-1cm thick. Place into the sugar mixture and leave to marinate for 1 hour, turning over occasionally so that the fruit soaks in the syrup. 3. Light or preheat the barbecue, griddle or grill until hot. Cook the pineapple, brushing with the syrup throughout, for 2-3 minutes on each side, or until golden and char-marked. Brush or drizzle with more of the remaining syrup before serving with the ice cream. 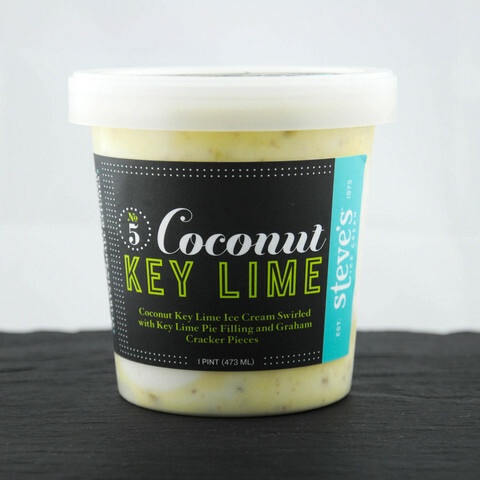 I highly recommend “Steve’s Coconut Key Lime Ice Cream”. It is delicious and also gluten free!